China Mobile will launch the HTC Magic next month becoming the first Chinese operator to launch a handset based on Google's mobile platform. According to an HTC official quoted by IDG News Service, the phone features a Chinese-language version of Android developed by HTC. The Wall Street Journal reported that the phone will run a customized version of Android called Open Mobile System developed by China Mobile, and that the operator will call its Android phones oPhones to reflect the customized platform. HTC will beat Huawei to market in China with Android; Huawei will reportedly offer an Android phone in China in the third quarter. HTC is hoping that the Android model will help double its sales in China from 800,000 units last year. i am frmo china, i would like to comment that HTC is much more famous than iphone any any smart phone provider from europe and amercia. they capture the single biggest market share of smart mobile phone in china . their diamond series is clone like of iphone and finally flight down iphone in china and taiwan and india. it's due to they are much cheaper than iphoine, good connection with post and telecom authority. and the important is that they always launch the smart phone faster than import phone. when palm launched the smart phone, they launch the similiar too. when windows CE launched, they use it for the smart phone too. and now, android is their newest investment of launching the first android in china too. Buying memory cards is such a chore... You have to Google prices, sort through which ones are genuine, around a bunch of stores,compare prices, finally buy your memory, and then constantly pray that the price doesn't fall in the next month or so. I've been screwed over by rapid price drops in the past... especially this one time when I bought a Micro SD card for my R4 gaming flash card at what apparently was a steal, only to later see that it had dropped five bucks in a week's time. Gahhhh, who am I to complain. I can't make it through a single day without using my R4 / R4i! Actually, that Nokia “original” is also made in China. 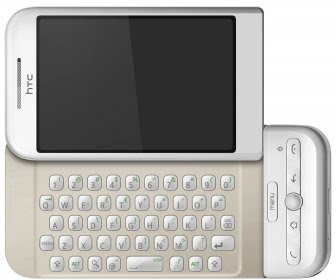 HTC Diamond Accessories are the most stylish and durable accessories that are available at very competent prices.